RED HOOK – Brooklyn Community Board 6 unanimously approved a proposal from the NYC Department of Transportation (DOT) during a general board meeting on Wednesday, December 12, to install pedestrian safety enhancements along Columbia Street near PS 676 and Summit Academy Charter School (27 Huntington Street). 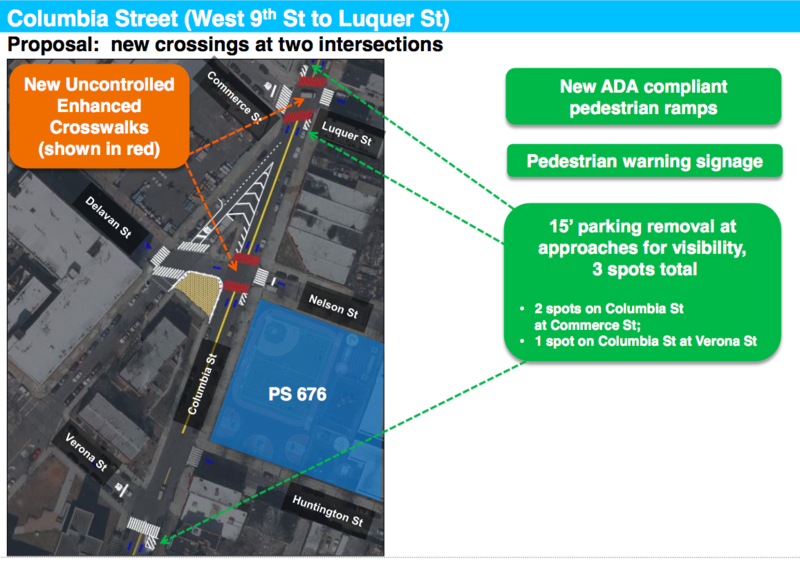 According to DOT, there are currently no crosswalks on Columbia between Hamilton Avenue and West 9th Street—a 1,100-foot span of unsafe crossing conditions for pedestrians. From 2012 to 2016, there have been 13 car-related injuries on Columbia within the three blocks from Luquer and West 9th—four involved pedestrians and nine involved passengers inside a vehicle, according to the agency. DOT plans to paint two high-visibility crosswalks at each of these intersections and to install signs alerting drivers of pedestrian crossings. New curbside ADA-compliant ramps will also be installed on Columbia in addition to 15-foot approaches to improve visibility, removing three parking spots. Two parking spaces will be removed on Columbia at Commerce Street and one at Verona Street. The existing pedestrian triangle found on Columbia at Nelson and Delavan Streets will also receive updates, with flexible bollards, granite blocks, and planters to create an enhanced pedestrian area. 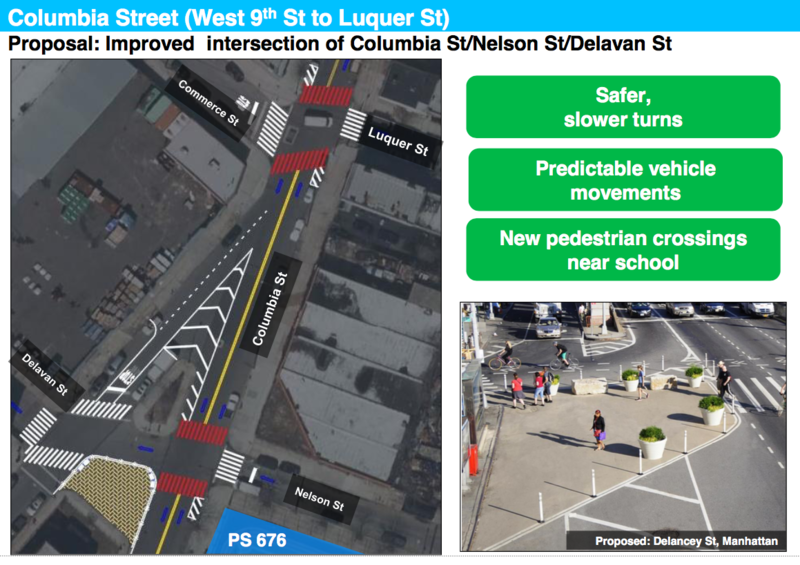 See NYC DOT’s Columbia Street (W 9th St to Luquer St) presentation to Community Board 6 here. 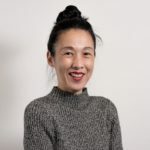 DOT has not yet released a schedule for the project.